HYDRONIC HEATING – Glenn Richardson Plumbing & Heating Ltd. 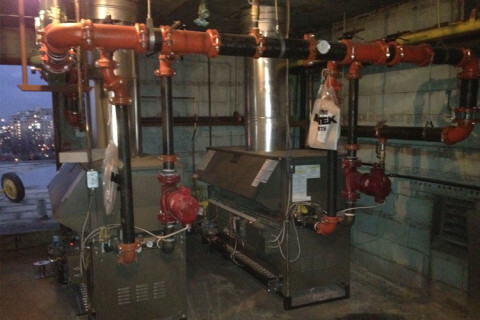 The majority of commercial properties use a boiler system as their main heating system. Depending on the size and use of facility other sources of heat may be used along with the boiler. Some commercial properties will have forced air handler systems in individual units but the full facility is using a boiler to push heat to the individual units. In a facility with various heating applications such as air handlers or radiant heating that operate at various temperatures different zones are required on the heating system. Controlling the temperatures in these zones requires a heating pump installation in conjunction with zone valves along the piping. If a facility isn’t able to keep the temperature in the building at a consistent temperature there is an issue with the heating pump. Either a heating pump repair is required or the existing heating pump may need to be resized. If a specific zone is seeing issues with their temperature a zone valve replacement may be required. 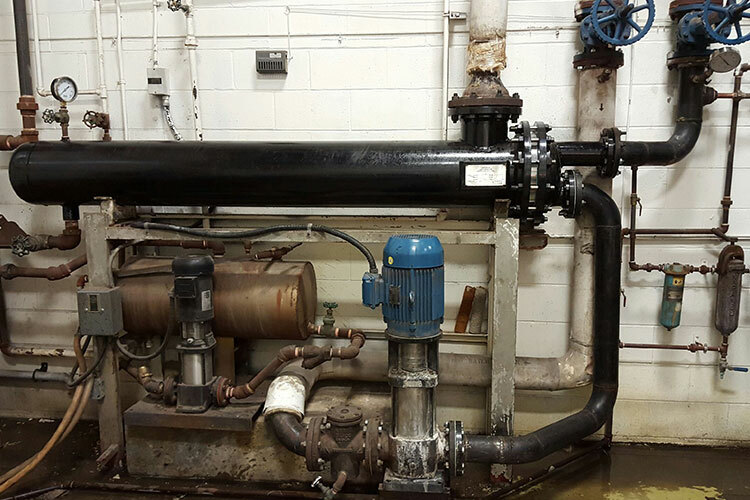 On closed loop systems an expansion tank installation is required on the system to absorb the expansion created when a boiler produces hot water for a facility. When a system starts to over pressurize there is an issue with the expansion tank. The tank either requires draining or an expansion tank repair. Over time an expansion tank replacement will become necessary if the tank starts leaking. A leak on an expansion tank is generally wear and tear that occurs over time. Many companies are looking to get away from the traditional oil boilers when doing a boiler replacement as they are more expensive to run. By converting to a natural gas boiler with new boiler installations the overall cost of running the boiler will be reduced with gas being a more cost efficient material to run. Going a step further from oil to gas boilers, condensing boilers are starting to replace traditional atmospheric boilers in most heating applications as they are even more efficient to run. The condensing boiler has more upfront cost with the unit itself being more expensive but is more cost efficient to run. When switching to a more efficient boiler system most buildings need to make changes to the boiler piping. The piping running directly from the boiler to the rest of the piping through the building for the heating system will be converted to a primary secondary system. Hot water baseboard replacements are generally done when the baseboard starts to look worn or out of style. The baseboard itself doesn’t generally break but more the heating application the baseboard is covering. A heating application like a zone valve. Any contractor that will be working on a gas heating system needs to be registered as a Fuel Safeties Contractor. The contractor needs to ensure that their worker is carrying a current Gasfitter 1 or Gasfitter 2 license. Similarly, any contractor that will be working on a hydronic heating systems you need to be a registered Pressure Vessel contractor.